Is there a better alternative to Magic Launch? Is Magic Launch really the best app in System category? Will Magic Launch work good on macOS 10.13.4? 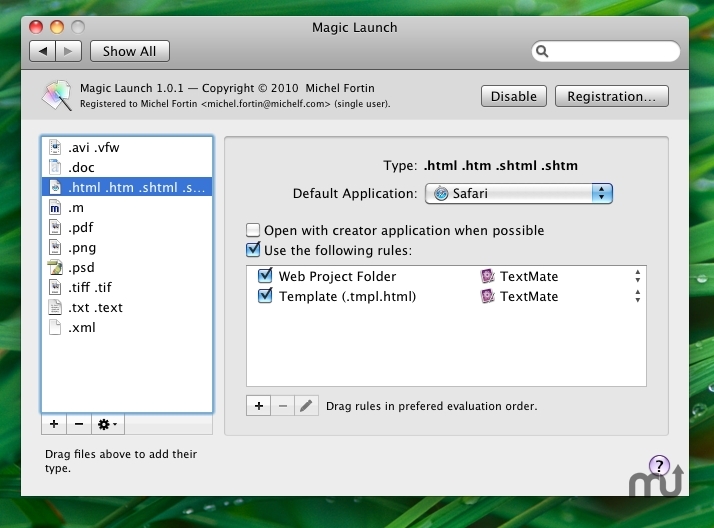 With Magic Launch users can take true control over which application is launched when double-clicking on a file. You can reinstate creator codes on a per file-type basis, or create personalized rules to select a different application depending on the folder the file is located in, its color label, the name of the file, or its content. It is also possible to run a terminal command instead of an application.